At our office, we’ve created a friendly, cozy atmosphere to help you and your family feel at home when you visit. Even though we use some of the most advanced tools and technology in dentistry, we haven’t lost our personalized touch when it comes to patient care. We perform all of our treatments, which include dental implants and tooth whitening, with our signature care so that you always feel safe and secure here. Our dental professionals, work together as a team to provide you and your family with the treatment you need. 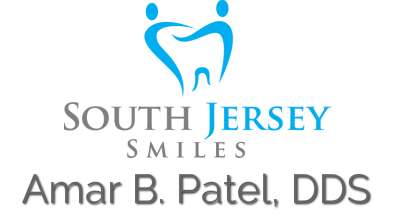 The dentist and dental team at South Jersey Smiles have been providing only the highest quality care to families and individuals in Moorestown, Mt. Laurel, Cinnaminson, Maple Shade, Delran, Marlton, Medford, and the surrounding Philadelphia Suburbs. If you are looking for quality care from local experienced dental professionals, call us today to schedule your next appointment with Dr. Patel. Whether it’s your first visit here or you’re a long-time patient, we can guarantee that you’ll be impressed by our friendly, knowledgeable team members and our dedication to working with you to meet your oral health and smile goals.